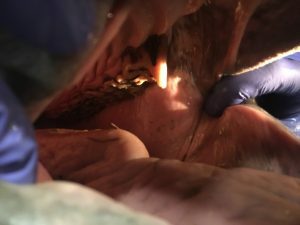 How often do my horse’s teeth need to be floated? This is another example that EVERY horse is an individual and there is no set time for a float or check-up. On average, a horse between the ages of 2-5 years of age tend to require 1-2 examinations a year. Once an adult, the horse typically will require once yearly examinations. Aged horses will require 1-2 examinations a year, but don’t always require work. What is the difference between floating and equilibration? Floating refers strictly to removing the sharp enamel points that are developed on the sides of the teeth as a result of eruption and tooth morphology. Equilibration is the process of ensuring that all teeth are in contact and bear equal pressures while grinding. This allows for long term health, functional chewing ability, and may improve performance. Does my horse have to be sedated to have his teeth floated and equilibrated? To perform the best dental exam and equilibration, sedation is required. Many individuals who are comfortable with horses and practice can remove sharp enamel points (floating) without sedation, but that is significantly different than actually balancing the mouth so that all teeth have equal wear. To properly equilibrate or balance a horse’s mouth, they generally need to be sedated. What are the pros and cons of power-floats vs. hand floats? Floating refers to rasping off the sharp enamel points on the sides of the teeth. 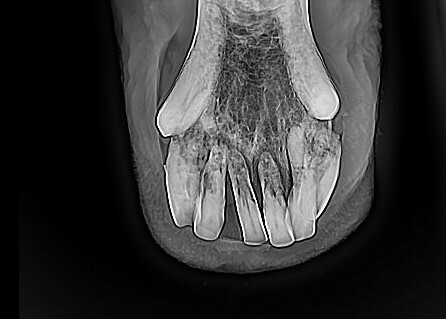 This is certainly beneficial but there is more to equine dentistry. A young adult horse will have approximately 2.5 -3 inches of tooth and will be worn at an average rate of a few millimeters a year. The goal of dentistry is to ensure that all teeth are wearing evenly and with the same amount of pressure. This process will allow the teeth to remain in wear and allow the horse to live longer. Power dentistry enables the practitioner to perform improved dentistry with less stress on the horse and you as the owner. We have two motorized pieces of equipment. One is from Powerfloat and the other is a new dental drill from Horse Dental Equipement. 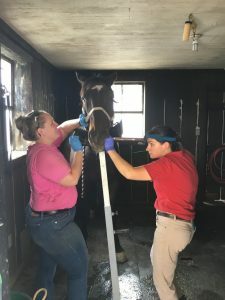 Equine dentistry is an essential part of preventative health care. Performing a physical examination followed by sedation and a thorough oral examination will help to create the environment for proper dental procedures. Dental equilibration and floating, with a combination of motorized and traditional dentistry techniques are provided to practice the highest quality medicine. Advanced dentistry services that can be provided include extractions and the treatment of periodontal disease.